Light Up Bike – ActiveDark.com – Glowing Ideas! Glowing Bike Rides! 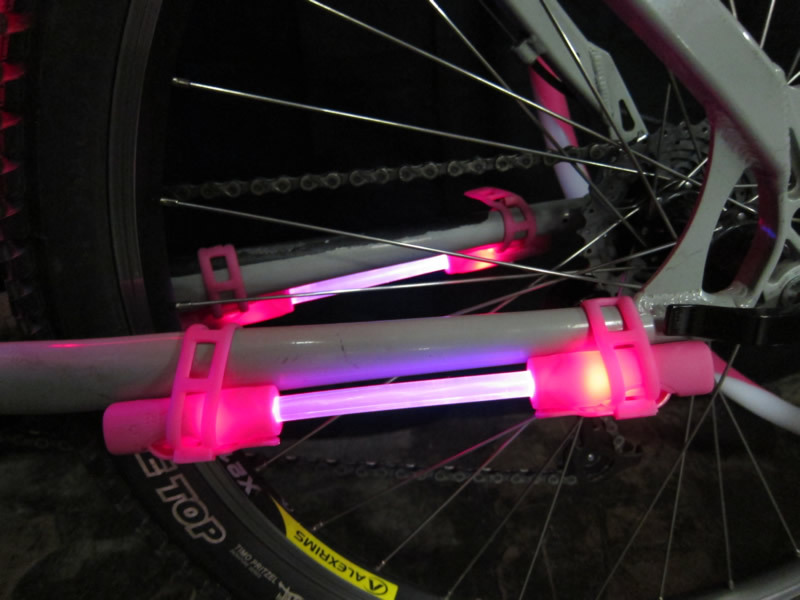 Lighting Up Your Bicycle for Night Rides! What better way to ride at night than to ride with glowing light! Better visibility of yourself and your bicycle is always an important safety factor when riding at night or in the early mornings. 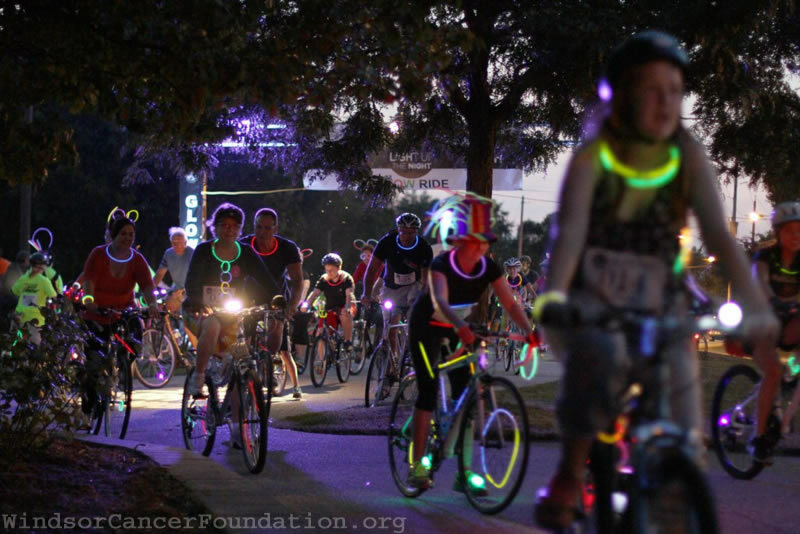 Charity and fundraising ‘Glow Rides’ are becoming a popular annual event in many cities and communities. Here we will take a look at some lighting options for Glow Rides. An easy to attach and simple to use device that will add bright LED Light Bars to your bicycle, these often come in a variety of colors and will drastically brighten the visibility of your bike. 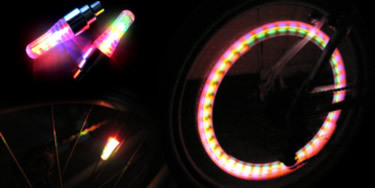 You can even color theme your bike by adding several of the same color LED Bar Lights to your bicycle! Create that cool blue TRON bike you’ve always wanted or promote your local Breast Cancer awareness campaign by creating a stunning PinkCycle! 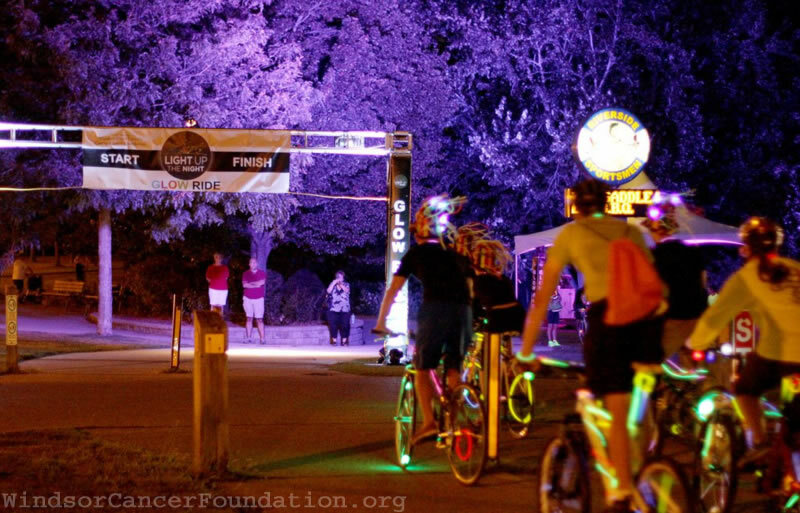 How much fun would it be if your tires lit up with bright glowing light as you rode? Well it’s pretty darn fun! 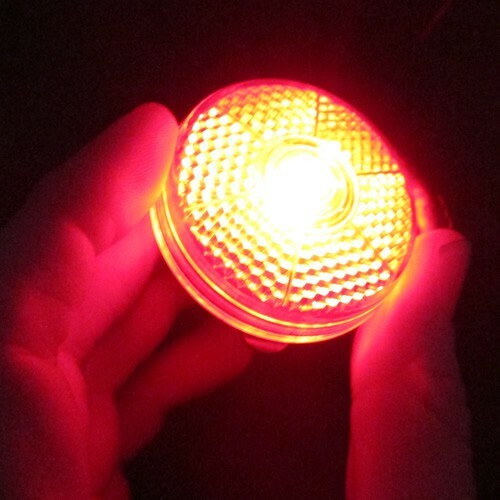 These super bright LED Bike Tire Lights simply attach to your bicycles tire valves. These fantastic glowing tire lights have both motion and low light sensors so they will only light up when your bike is in motion and in the dark. This way you are not having to constantly switch over your valve covers every time you want to ride in the low light. These battery operated tire lights are the easiest way to create a truly mesmerizing lighting effect that will garner attention to your bike and yourself anywhere you ride! Another fun way to make your bike glow is to simply load it up with a pile of Glow Sticks, Glow Necklaces and Glow Bracelets! 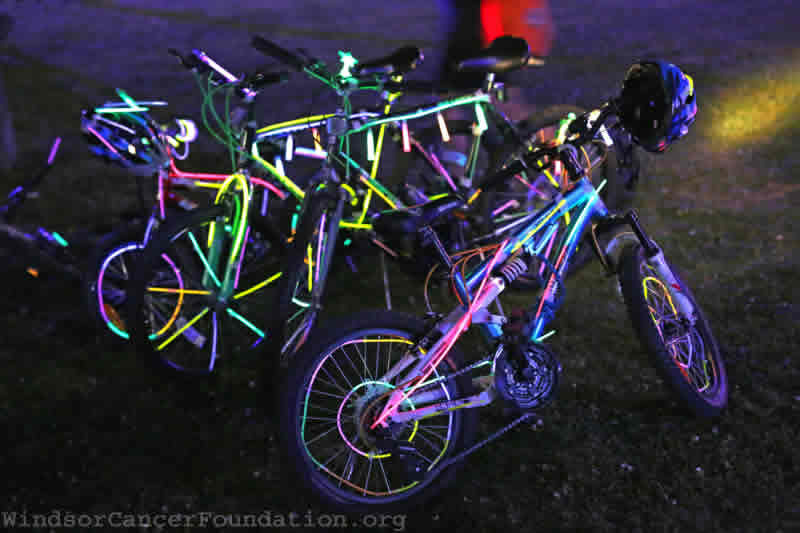 This is a popular way to light up bicycles for Charity Glow Rides as they are a one night type of glow light and looks absolutely fantastic when you have a whole crew of riders glowing together! You can get quite creative with traditional glow sticks and everybody gets to decorate their rides differently for a splash of uniqueness. And of course, there is always the traditional Bicycle Safety Flasher! These are always an affordable, easy to use safety light that can be clipped to your bike or yourself to help make others on the road aware of you. With a flashing red LED light, you will always be seen when cruising at night or in a low light environment. Now that you have a couple bright ideas of how to make your bicycle light up for that next big community glow ride or evening ride, you and your bicycle can get out there and light up the night!